From new release center, you can get any new software released info, new features and update log of our programs, and download the latest version of our flagship products. Always the 1st to rip new DVDs. Rip DVD to AVI, MP4, M2TS,etc. Rip DVD to iPhone, iPad, Android. World's No.1 fast speed. 4 copy modes. Added support for downloading video from more online video sites. Enhanced the transcode core to improve the software stability and compatibility. Fixed the problem of YouTube URL analysis failure. Convert 4K, MKV, MP4, AVI, etc. 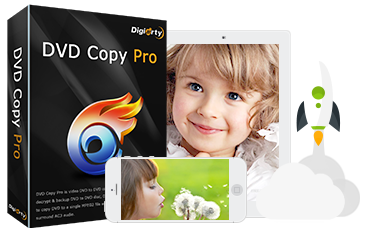 Convert videos to iPhone iPad Android. Download online videos, make slideshow. Added: Support for some new CSS encryptions found on DVD movies. Improved: The handling of backing up badly scratched or damaged DVDs. Clone DVD to DVD, ISO, MPEG2. 9 DVD copy modes. Extract DVD. Low CPU cost, fast speed, high quality. Added: Support for latest iOS 12.1.1. Improved: The speed of loading and synchronizing Live Photos. Manage music, create, modify, delete. Convert iOS-unsupported videos & music. Use iDevice as USB; Create ringtone. Improved: DVD ripping stability and compatibility with the latest macOS Mojave. Rip DVD to MP4, H.264, MKV, etc. Rip DVD to iPhone, iPad, iTunes. Unlock any encrypted DVD flawlessly. Convert 4K, MKV, AVI, MP4, etc. Video to Apple iPhone iPad.